Georgia Representative Darryl Jordan: Stop Bashing Teachers! | Georgia Teachers Speak Out! ← Teacher Keys Effectiveness System (TKES), Georgia Teacher Evaluation System (GTEP), etc., are Useless if the Student Discipline is Totally out of Control! Georgia Representative Darryl Jordan: Stop Bashing Teachers! Note: I have personally known Representative Darryl Jordan for 25 years or longer. He joined the Metro Association of Classroom Educators (MACE) the first week that MACE was in operation in 1995. He is a Charter Member, and his siblings were/are members of MACE also. Representative Jordan was a loyal member of MACE until the day that he retired as a Classroom Educator. He first got elected to the Georgia House of Representatives in 2000 and has served the People of Georgia since 2000. For years he was a Classroom Educator in the Henry County Schools while still serving under the gold dome. I dare say that he has more practical understanding of what goes on in public schooling than does any other person serving under the gold dome, including the governor. He understands the issues and knows what could and should be done to fix the problems. — Dr. John Trotter. I was elected by the people to represent them in the Georgia General Assembly in 2000, and almost from the moment that I assumed my duties under the gold dome in January of 2001, we had a Governor from my party attacking the teaching profession in political advertisements, blaming the teachers for the ills of public education. This governor led the charge to take away due process rights for public school teachers in Georgia. He was met with ignoble defeat in 2002 by an under-financed Republican candidate. This candidate led the charge to restore those same due process rights for the Georgia public school teachers. But around the same time, President George W. Bush and U. S. Senator Edward Kennedy led the charge to impose the onerous and ineffective No Child Left Behind Act upon the schools of this country, demanding that schools with lower test schools were to be exposed and embarrassed and entire staffs at those schools were to be removed for the so-called “failing” test scores. Rep. Jordan, a man of the People. The aforementioned Republican governor did not leave office before he signed onto the current Secretary of Education’s plan to “bribe” the schools with billions of dollars appropriated by the U. S. Congress to go along with the foolish and idiotic Race to the Top program, a program just as fallaciously founded as was the previous No Child Left Behind program. Only this time, the teachers are treated more punitively than before, with their performance being judged by the ratings from their students and, of course, from the students’ performance upon standardized tests (which are normed, meaning that half the students in the country will be judged to be “below the national average”), tests which only examine verbal-linguistic skills and math-analytical skills. The curriculum became very narrow. History, science, the arts (band, drama, chorus, art, etc. ), physical education, civics, and vocational education were assigned not just second row seats but back row seats on this educational bus. The assumption of all of these faulty and so-called reforms is that students are not learning because teachers are not teaching. This is the predicate, viz., that if we improve the teaching, then the learning will automatically improve. This is a wrong theory. Very wrong. 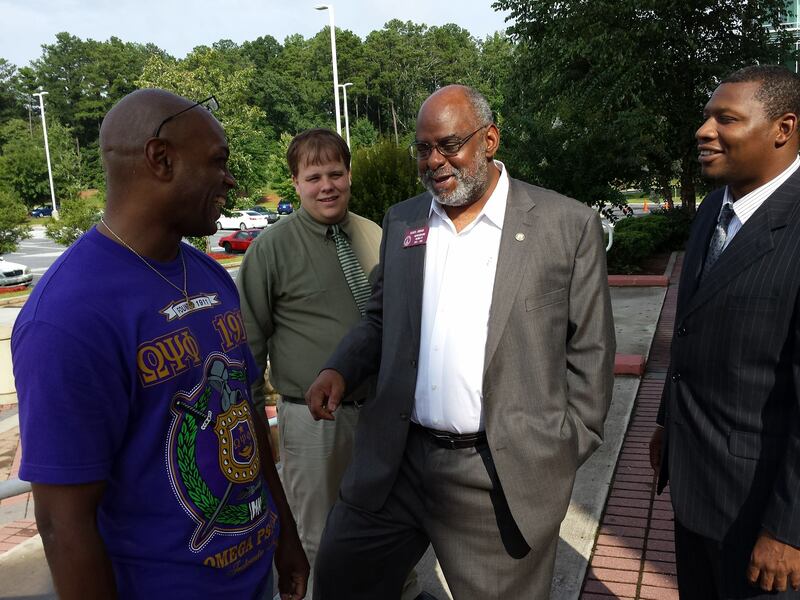 I taught students from all walks of life for more than 30 years in Georgia’s public schools. My two parents and four siblings have also been career educators in Georgia public schools. This is not my first rodeo. I know that three things are essential to student learning. I will borrow a concept or two from The MACE Manifesto, a 615 page tome published by two of my friends, Dr. John Trotter and Mr. Norreese Haynes, in 2014. Trotter and Haynes fluently articulate what I have always observed and have known in my career as an educator. You first have to have discipline in the classroom. Without an orderly classroom environment, no learning will take place. The teachers have to be supported by the school administration in this facet, not snoopervised, smothered, and undermined. The students sense when a teacher is either supported or undermined by the administration. Classroom discipline is paramount, but you won’t hear the so-called school reformers (be they Bill Gates or Eli Broad) or educrats breathing a word about classroom discipline. It doesn’t matter what the curriculum is if the students are bouncing off the walls. The second thing that matters in the learning process is aptitude. Not all students are as gifted academically (in the narrow areas of math and verbal skills) as not all students are as gifted as others in public speaking, arts skills, history, science, drama, athletics, vocational skills, or music. The students just have to have certain aptitudes. We should not judge our students for having different gifts – or skills or talents or whatever you want to call them. We certainly should not bash the teachers because certain students whom they teach may not have the same giftedness in the same areas. Howard Gardner of the Harvard Graduate School of Education has identified close to ten areas of intelligence but our politicians and educrats still want to judge all students in just two narrow areas. This is morally reprehensible. The last important factor in student learning is motivation. If a student does not want to learn, he or she will not learn. If a student comes to class with the intention of putting forth no effort at all to learn, then why bash the teachers for the student’s determination not to learn? Neither U. S. Secretary of Education Arne Duncan nor Bill Gates could make a student learn if he or she is determined not to learn.